Despite the online backlash to Gillette's ad challenging toxic masculinity, surveys from Ace Metrix and Morning Consult show the majority of consumers like the spot. CINCINNATI — You wouldn’t know it from the noisy backlash, but research shows that consumers across demographics actually like the new campaign Gillette rolled out earlier this month tackling issues surrounding gender and toxic masculinity. Ace Metrix and Morning Consult, both of which conducted surveys last week in the days immediately after Gillette debuted its centerpiece longform spot, found the majority of viewers support the message of the campaign, called The Best Men Can Be. The two-minute video takes a tough look at some of the behaviors associated with the #MeToo movement (bullying and sexual harassment among them), and then calls on men to be accountable by doing the right thing. It is part of a larger campaign, which includes Gillette donating $1m per year for three years to organizations that educate and inspire men of all ages, starting this year with Boys & Girls Clubs of America. “Viewers of all ages, genders, ethnicities, incomes, and locales overwhelmingly loved and supported the message behind The Best Men Can Be, with very strong emotions evoked. The ‘Powerful’ and ‘Corporate Responsibility’ responses recorded ranked among the very top percentile of all ads tested across all categories since January 1, 2014, confirming that consumers are strongly in support of the message,” the Ace Metrix report said. The Ace Metrix survey of 500 viewers also found that despite the online backlash to the ad, which included calls to boycott Gillette razors, the spot didn’t rank as particularly polarizing — and rated notably less polarizing than Nike’s Colin Kaepernick ad. Morning Consult’s survey of 2,201 adults, meantime, found the ad successfully positioned Gillette as socially responsible and in-line with consumers’ values. Before watching the commercial, 42% of consumers said they agreed Gillette “shared their values.” After watching, that figure jumped to 71%. Additionally, the share of consumers who said Gillette “is socially responsible” grew from 45 to 72%. Asked to rate the ad on a 10-point scale, 61% gave it high marks (7-10), 23% were more neutral (4-6) and 17% gave the commercial low marks (0-3). Republicans had a more negative view of the ad than Democrats. 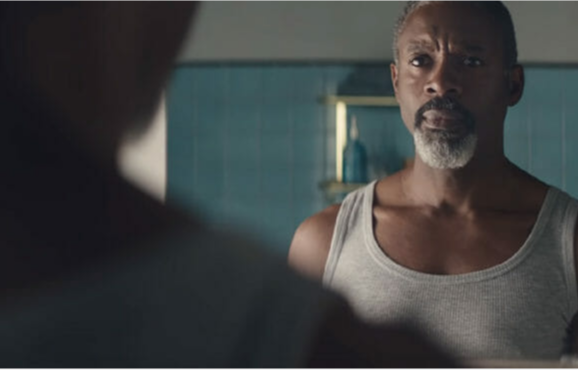 Damon Jones, Proctor & Gamble’s VP of global communications and advocacy, said that before launching the ad Gillette expected there would be “strong reactions,” which is in keeping with the company’s larger goal of its the Best Men Can Be initiative. “We wanted to people to have that mirror moment,” with the idea that behavioral changes if need be would follow, he said. Jones noted, however, that while the ad does highlight some “not so great behavior” it also shows, in contrast, positive behavior “which is not getting the attention it deserves.